Peter here from NativeAdBuzz – hope you’re well! And in the last post we looked at legal specifics, from the USA’s ‘FTC’, and the UK’s ‘ASA’. Now just before we get started, I wanted to bring something up. It may seem tempting to ‘bend the rules’ in order to make your ads more appealing, but you risk being blacklisted by ad networks, as well as potential fines, and even criminal prosecution, so make sure you know the consequences! 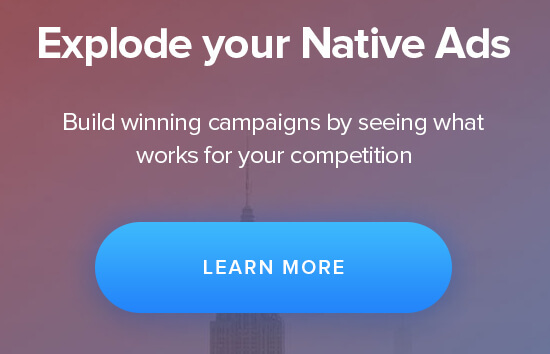 If you want to see thousands of legal, compliant ads (and evaluate their strength in the market), you should take a $7 trial to the NativeAdBuzz software, where you’ll get access to a plethora of native ads! Click here to claim your trial! One of the most confusing things for new marketers to understand, is that there isn’t a ‘one-size-fits-all’ approach to advertising law, and because of this, you should always err on the side of caution. Let’s look at some of the most important Native Ad rules (from a legal perspective) … and how you can ensure you don’t fall foul to the law. Disclosures are required by all industry regulators (and publishers) to clarify the intentions of your advertising message to consumers. 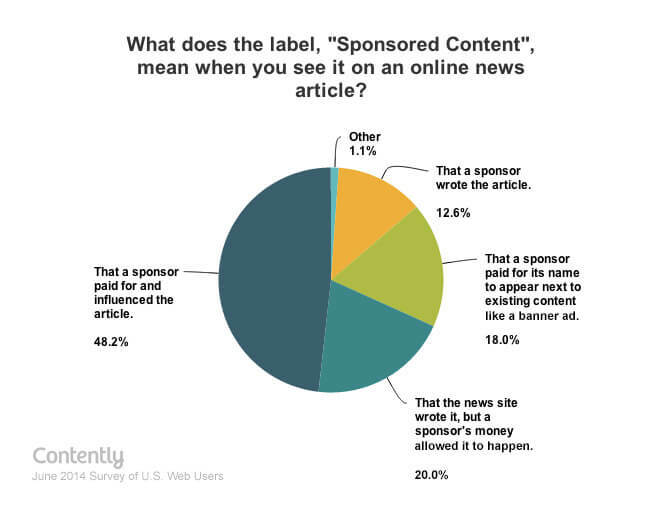 In essence, the readers of your ad need to know it IS an advertisement – and that they’re being sold to. The regulators will also look at whether they think you’ve made your disclosures clear enough. For instance, if your ad is image-based, they may deem a small piece of text to be insufficient, due to consumer’s attention being directed at the image. Similarly, if you were running a content advertorial, an image featuring a disclosure likely wouldn’t be noticed – unless it’s a focal point of your page. Also… if you’re running video ads, the disclosure should be displayed on the screen long enough so that any viewer would be able to see it, read it, and comprehend what it is saying. …And the FTC have begun to clamp down on advertisers who use sneaky techniques and as mentioned in the last article the ASA in the UK even went after Outbrain to make an example. Most people would argue that sets a worrying trend – it’s really hard to know what you’re reading is from the website, or from a publisher when you see stuff like this. You already know the guidelines by now, right? And this isn’t your responsibility because the native Networks manage their widgets. Perhaps, but there is a change a’ coming, the wind has already started blowing. One of the biggest areas of concern for many advertising marketers and publishers is the claims included inside an ad. There are two sides to this; the first, is a results-based claim. But it’s not. The headline makes a claim that’s not just unrealistic… but also completely deceptive. OK, so there is certainly more chance of this happening than losing 34KG in two minutes, but there must be very strong, documented, and reliable proof that this actually happened… as well as proof that the consumer has a chance of achieving the same. Here’s some examples of legitimate native ads, that don’t offer a direct claim… but still have a BIG benefit attached. They’re acceptable, because they don’t make you specific promises that if you do XYZ, you’ll achieve XYZ. And if you want your ads to stay compliant, you absolutely MUST not include claims that aren’t 100% true. Now the second major area of concern surrounding claims, is to do with infringing the rights of a person or organization that these claims directly or indirectly reference. You also can’t imply that your product or service is endorsed by these companies; if your content was purely editorial, the law changes, as you have rights under the free-speech and fair-use rules, but advertising is NOT covered. In short – unless a celebrity or other notable person/organization has given their express permission, and the claims you make are 100% true… stay away; fail to do so could land you in a LOT of legal trouble. To help make sure your Native Ads comply with the disclosure and claim guidelines, we’ve compiled a short checklist for you to follow. Work through it, and try to keep it handy whenever you create a Native Ad – it can save you a LOT of legal trouble later down the line. Do you feel good about yourself, or are you feeling a little black hat? Have you ever stollen candy from a baby and laughed? Have you ever offered someone some food and then once they have had a bite and not died from poisoning you have snatched it back and eaten it? And that’s a wrap for today, folks. We’ve looked at what you should and shouldn’t include in a disclosure… and some guidelines about making claims in your ads. In next week’s post – the last part of our ‘Staying Compliant’ series, we’re going to look at loads of native ad examples that are legit… and we’re going to study those that aren’t. All the ads will be pulled from NativeAdBuzz, our native ad tracking platform. It allows you to easily view thousands of different ads, as well as tracking their data, performance history, and more! If you’re not a member, claim a $7 trial here!